We do not curently have theatre tickets available for Disco Pigs This could be because we have simply sold out or it could be that this show is no longer running. The information on this page remains purely for historical and informational purposes. 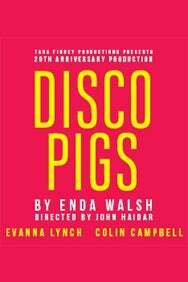 Enda Walsh’s breakthrough play Disco Pigs, which premiered at the Edinburgh Fringe in 1997, will be revived in a production to mark its 20th anniversary. 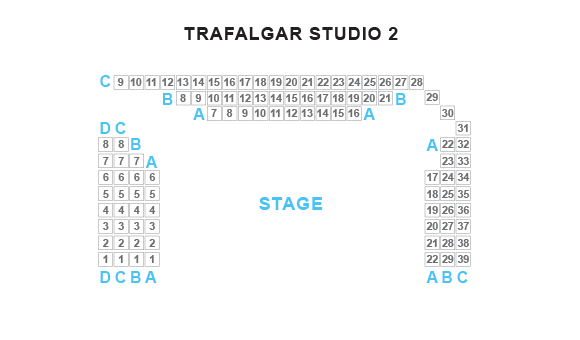 It will begin performances July 12 prior to an official opening July 18, for a run though August 19 at London’s Trafalgar Studios. The limited run will star Evanna Lynch and Colin Campbell as Pig and Runt, two people born at the same time on the same day in the same hospital, who have been inseparable ever since. They speak in their own language, play by their own rules, and create a world for themselves in which boundaries blur between truth and illusion. Until, on their 17th birthday, they discover something more. As night falls, and the disco and drink take hold, they spiral violently out of control. Lynch stars as the title character in the feature My Name is Emily, for which she received an IFTA nomination for Best Actress in a Leading Role. Her other recent film work includes Dynamite. She also starred as Luna Lovegood in the Harry Potter films.